Ametco Manufacturing is home to a sophisticated metalworking and fabricating shop designed to deliver high precision products. All Ametco welders are AWS certified. Whether you're looking for a prototype part or to setup for a production run of thousands, we'll manufacture your product professionally and economically. 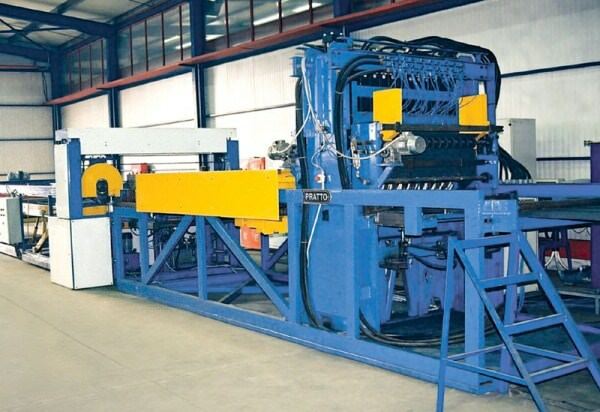 A constant investment in state-of-the-art equipment positions Ametco perfectly as a long term manufacturing partner, and as a source for over flow work. Our 130,000 square foot Willoughby, Ohio plant is designed to handle a wide variety of metalworking tasks, and to track those jobs all the way through the plant. You get quality craftsmanship with on-time delivery... all at a great price! 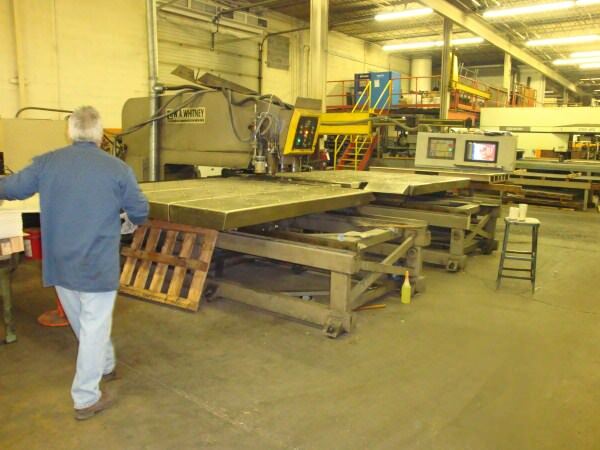 Pictured below are Ametco's 84" wide electric forge welding machine and 40 ton NC machine that can handle sheets up to 10 foot wide by any length up to 1,000 pounds. STUD WELDER TO ½" X 6"
MATTISON SURFACE GRINDER 24" X 72"
40 TON WHITNEY 3700 N/C PUNCH W/HIGH DEFINITION PLASMA & AUTOMATIC TOOL CHANGER 60" X 120"
ORSOGRIL 24" FRICTION SAW X 7’0"